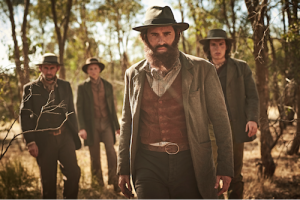 Unearthing the truth behind Australia’s most infamous lawless legends. 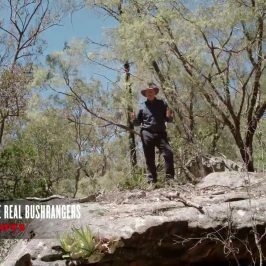 Our team embarks on the first ever archaeological and scientific investigation of the events at Stringybark Creek to answer the questions. 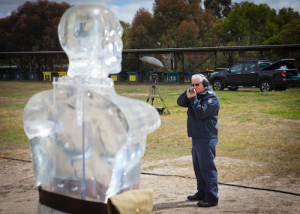 Using the latest cutting edge survey technology (LiDAR 3D Laser Scanning), traditional archaeology and forensic ballistics testing together with new historical evidence, the team put conflicting claims to the test. Finally we bring descendants from both sides of the story together for the first time to hear the team reveal their findings. Controversial and highly provocative, this investigation challenges the legend that has shaped our national identity and aims to change how Australians see their most famous folk icon: the hero of the underdog. Andrew George Scott (A.K.A. 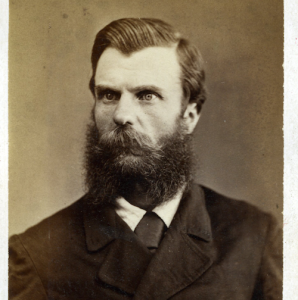 Captain Moonlite) was a preacher, a conman and a gentleman – certainly not your average bushranger. After an 11-year life of crime Moonlite’s career ends in a violent gun battle that results in the death of two of his gang and a NSW policeman. The event seals his fate, sending him on a one-way trip to the gallows. But should Moonlite have swung for this crime? Controversial primary evidence raises questions as to whether he actually fired the fatal shot, and if he didn’t do it, then who did? 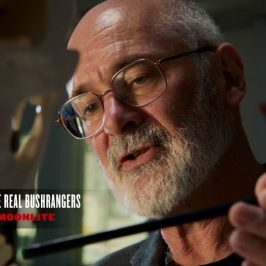 The Lawless team undertakes the first full archaeological investigation of the site of Moonlite’s last stand to unearth remaining evidence of the gunfight still buried in the ground and piece together the puzzle of this event. Using forensic ballistics and pathology the team determine which gun could have been the murder weapon. 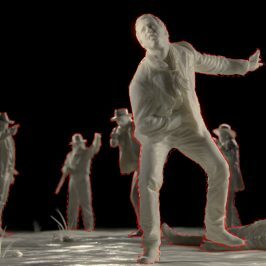 With new evidence and insights the Lawless team complete a digital reconstruction of the event to determine almost 140 years after the gunfight, just who was the likely killer. In one final twist, a secret from Moonlite’s private life is exposed to reveal another dimension to this complex and enigmatic character. 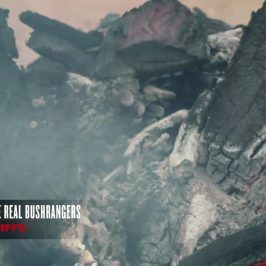 Fascinating and with an incredible human story, this investigation forever changes our view of the iconic Australian ‘bloodthirsty bushranger’. Reproduced with permission from the collection of Victoria Police. 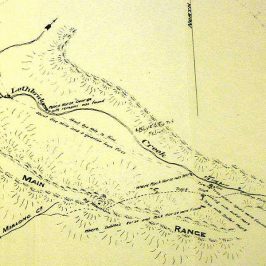 Before Ned Kelly, it was Ben Hall who was the ‘rock star’ of Australian bushranging, leading a short but prolific 3-year crime spree across NSW in the wake of the gold rush. 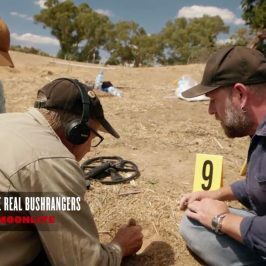 His criminal career comes to a bloody end when he is shot by police in a hail of bullets close to place known as Billabong Creek on the outskirts of Forbes. But Ben Hall’s death is shrouded in controversy. The official police account says that Hall was a dangerous criminal, lawfully killed while trying to escape, while the legend goes that Hall was shot in his sleep and the victim of a brutal police cover up. 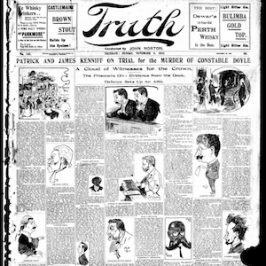 Now for the first time, the Lawless team undertake an analysis of Hall’s bloody demise at the hand of authorities. At a time where our fledgling nation was striving for law and order, this investigation reveals the extraordinary measures enacted by authorities in NSW in an effort to become a civilised society. The death of Ben Hall exposes how justice was served in the times of the colonial era. 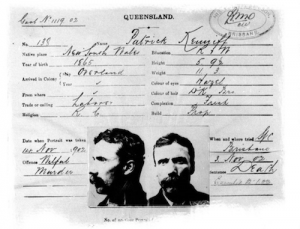 Patrick and James Kenniff were caught and tried for wilful murder – but they maintained their innocence to the bitter end. What turns thieves into brutal mutilators? Was there reasonable doubt that they didn’t do the deed? Mike Munro needs to know – this isn’t just a question about the nature of crime and punishment, this story is deeply personal. The Kenniffs were Mike’s ancestors and the cause of shame for his family through generations. The Lawless team embark on a factual and forensic analysis of the crime to search for answers and Mikes meets descendants from the other side of the story. Against the backdrop of a brutal event, this case marks a pivotal point in the history of our evolving laws and nationhood and this investigation makes for an extraordinary personal journey for host Mike Munro.